Social Media introduced me to brands like Makeup Revolution, Morphe, and Colourpop. I am all up for smaller companies and their humble beginnings from Social Media platforms like Instagram. Relatively a newer entrant into the Indian cosmetics market, P.A.C has set the social media genies on fire. I have been hearing tons of good things about this brand so, I decided to purchase a few brushes from their website and put them to test. I placed my order on 29th March. I used PayUmoney to complete the transaction (Credit card, Online Banking, or Debit card can be used) . PayUmoney is an Indianised version of Paypal. The transaction amount will be released to the merchant only after the customer receives the purchased good and there is even a Dispute option like that in Paypal. On placing my order, I didn’t receive any email from the merchant nor was there any email on shipping (Additional INR 40 was charged for shipping). Surprisingly, I received my package on 31st. You can also buy P.A.C brushes from Amazon or Flipkart. Each of the brushes come in a plastic zip lock bag, which can be used while travelling. Tip: Wash your brushes before use. A synthetic flat brush with a tapered end. I use this to apply the eyeshadow on the lower rim. Alternate Use: Apply inner corner highlight. A medium sized black blush brush. 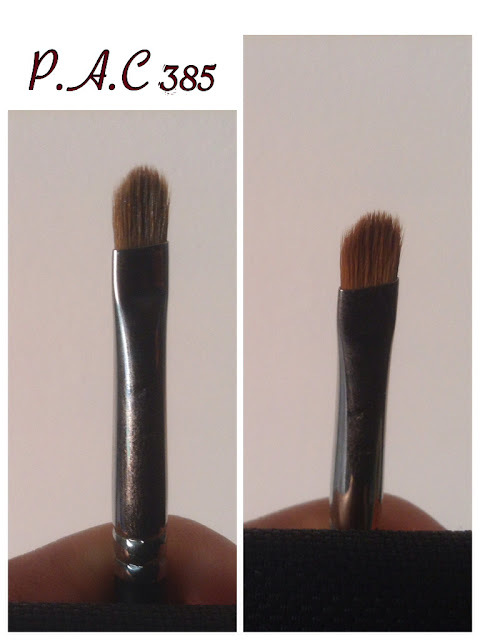 This brush is not so soft like the RT brushes, neither is it poky like the Vega brushes. Alternate Use: Remove powder from your under-eye post baking. Additional Info: Sheds like craaazy, also the stray hair here and there is annoying. A medium-large blush or powder brush. Black and white bristles are densely packed and the brush is extremely soft. Alternate Use: Apply bronzer or powder. Back-up for my MUG and Coastal Scents blending brushes. I haven’t put it to test yet. Alternate Use: Contour the bridge of your nose. Additional Info: Bristles are uneven. P.A.C has a wide variety of brushes for any need and any occasion that too between 300-700 INR range. Overall, I give a (3.5 stars). Do give PAC brushes a try if you are looking for affordable, good quality brushes. 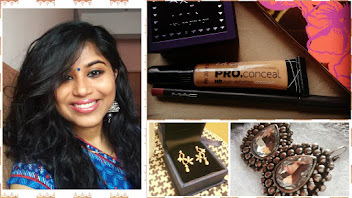 you know, you can buy PAC Cosmetics at The Makeup Studio by Anez Anzare at Convent Juntion, Ernakulam, Kerala!